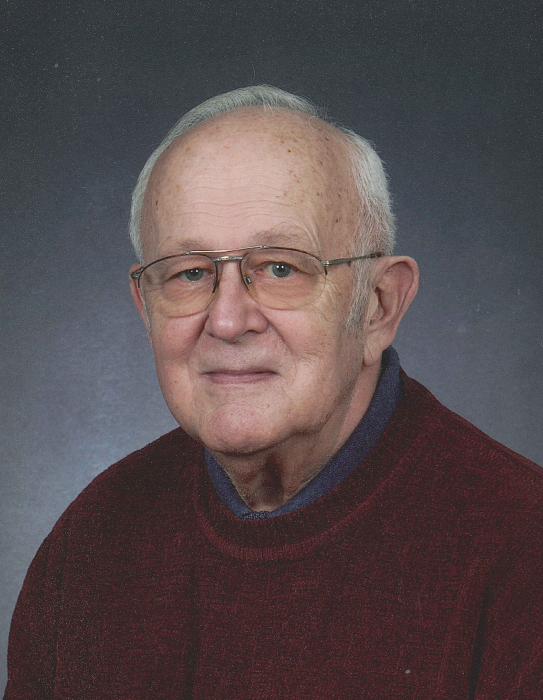 Robert O. Schneider, age 86 of Forest Lake MN, passed away peacefully on August 23, 2018 surrounded by family. Bob was born in St. Paul, attended Sacred Heart school, and graduated from St. Thomas Academy in 1950. He started his career working for Northwest Airlines, then proudly served his country in the United States Army during the Korean Conflict. After obtaining his accounting degree from Globe Business College, he had a long career at IDS Life Insurance Co., from which he retired, ending his career as a Controller for the company. He was a vivacious volunteer serving in the Knights of Columbus, Lino Lakes City Council, Lions Club, Lino Lakes Prison Liason, and much more. He was very active in his church and his community throughout his life. Of course he loved his family, and also enjoyed golf, fishing, travel, bowling, gardening, camping, the Minnesota State Fair, the St Paul Winter Carnival, and the Minnesota Twins. Bob is preceded in death by his parents John Sr. and Ann; brother Norbert (Pat), brother-in-law Darold Kuschel, his in- laws Mary and Frank Finnegan who loved him as one of their own. He is survived by his loving wife of 63 years Ann; their children Robert (Desiree), Mary Jo (Tony) Bartolotta, Paul (Diane), Patricia (Chris) Black; 4 grandchildren, David, Stephanie (Clint) Sutton, Nick (Brittany), Felicia; 4 great grandchildren, Nolan, Nathan, Olivia, Quinnlyn; his sister Kathy Kuschel, and his Brother John Jr. (Joanne), sister-in-law Marie Dunphy, brothers-in-law Frank (Beverly), Paul (Brenda) Finnegan; numerous nieces, nephews, and other extended family. Mass of Christian burial will be celebrated at 11:00 am, Thursday, August 30, 2018 at the Church of St. Peter, 1250 South Shore Drive, Forest Lake. The family will greet friends one hour prior to Mass at the church. Private interment at Calvary Cemetery, Forest Lake. Memorials preferred to Lakes Life Care Center in Forest Lake, MN. Memorials preferred to Lakes Life Care Center in Forest Lake, MN.